The Pacific Ocean is sometimes called The Blue Continent because it occupies a greater surface area than all of the Earth’s landmasses combined. Although it may appear to be just a large blue watery mass from space, if you look closer you’ll discover the Blue Continent is actually crowded with islands, cultures, history and mystery. If you’ve ever been curious about exploring the Blue Continent, there’s no better time than next summer on Guam. 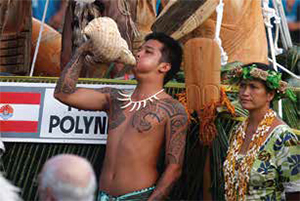 Like the Olympic games, every four years, representatives from 27 Pacific Island countries come together in one of the largest and longest-running celebrations of indigenous culture in the world: the Festival of Pacific Arts (FestPac). Like the Olympic games, FestPac is a traveling festival whose host country rotates every four years. In 2012, Guam was tapped to host the 12th Festival of the Pacific Arts (FestPac 2016) and has been earnestly preparing to welcome and host an expected 2,500 artists from 27 Pacific Island countries as well as thousands of festival visitors from Guam and abroad. FestPac 2016 will be held from May 22 to June 4, 2016 in Guam’s capital, the village of Hagåtña. FestPac was created in 1972 by the Conference of the South Pacific Commission as a way to stem the loss of traditional cultural practices by showcasing and exchanging culture. 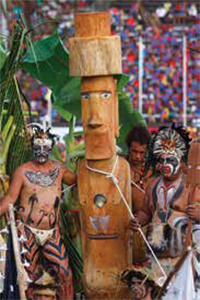 Since then, the festival has become one of the world’s biggest opportunities for small and remote island communities to share their unique cultural traditions with each other through a diverse range of forms including music, dance, painting, storytelling, carving, filmmaking, traditional seafaring and navigation, fashion, cuisine, and many more. FestPac is not a competition but a cultural exchange that creates a sense of community by uniting the islands and reinforcing regional identity. The festival provides the ultimate platform for the islands to foster relationships and the opportunity to share, create and collaborate. The 27 Pacific Island Countries and Territories expected at FestPac 2016 are: American Samoa, Australia, Cook Islands, Easter Island, Federated States of Micronesia, Fiji Islands, French Polynesia, Guam (2016 Host), Hawaii, Kiribati, Marshall Islands, Nauru, New Caledonia, New Zealand, Niue, Norfolk Island, Northern Mariana Islands, Palau, Papua New Guinea, Pitcairn Islands, Samoa, Solomon Islands, Tokelau, Tonga, Tuvalu, Vanuatu and Wallis and Futuna. 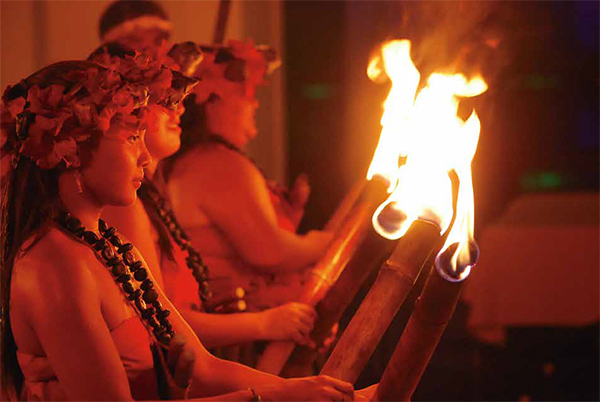 During the two-week festival, visitors to FestPac 2016 can expect to see each country’s best artists and cultural practitioners, all who have spent years training and preparing for the honor of representing their nations. Visit Guam next summer for FestPac 2016 and experience a rare close-up look at 27 extremely remote island communities that will be coming together to represent and celebrate the Blue Continent.